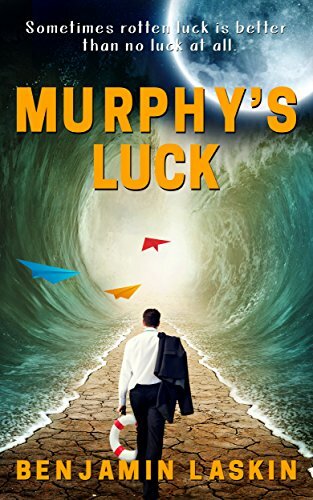 Sometimes rotten luck is better than no luck at all.In order to shield the world from his spectacular bad luck, Murphy Drummer wouldn’t venture beyond his backyard since he was a little boy. To remedy his loneliness, he turned to the mastering of hundreds of hobbies, and developed some mystifying talents.When circumstances force Murphy to find a new sanctuary where people might be safe from his bemusing jinx, he stumbles across Joy Daley, a happy-go-lucky optimist who never forgot to thank her lucky stars.The comical, topsy-turvy effects from the collision of Lady Luck and Murphy’s jinx whimsically upends the lives of everyone in their paths, as no one who falls into Murphy’s orbit can escape the gravity of Murphy’s luck. But if Murphy’s victims play their cards right, his dreadful luck might just be the best thing that ever happened to them. A love story of wood-tapping proportions.